True to plan, I just ran for the 5th consecutive day while on vacation. Ten miles per day. Actually 8 the first day but I squeezed in 12 today. Having tapered for the prior two weeks, I’m a bit sore but my pace seems on par. Today was the strongest with an 8 minute per mile pace. I expect to run another long one tomorrow and am considering maintaining this routine until I return to work Monday. That will be a hundred miles in ten days. 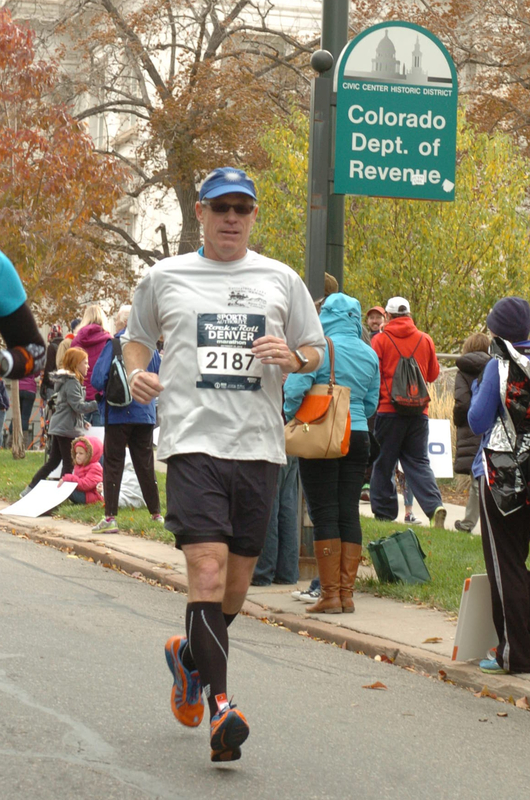 This photo is in the final block or two of the Denver Marathon last month. I need to maintain my mileage because I’ve registered for the Austin Marathon in February. When you have a marathon on your calendar, the date has a way of creeping up on you. The last time I ran the Austin Marathon, my winter training consisted of 3 and 4 mile runs. Not making that mistake again.